D/P race 130HTP Dacron, Max class sizes, made in Newport Beach, 3 battens (top full), Cunningham, Sail#’s and CFJ insignia, Tell tales, Tube bag. 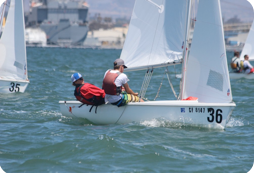 Race – Dacron Class Jib: $515*– NEW DESIGN CALL LOFT FOR INFO! 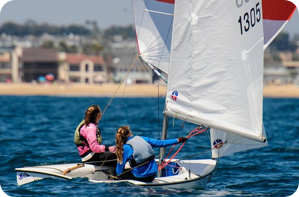 D/P race 165 HTP Dacron, Proven smooth and fast, Made in Newport Beach, Wire luff, Vision window in foot, Tell tales, Tube bag. 250g/m, 5.5oz Dacron, Max class sizes, 3 battens (top full), Cunningham, Sail#’s and CFJ insignia, Tell tales, Tube bag. 250g/m, 5.5oz Dacron, Wire luff, Vision window in foot, Tell tales, Tube bag. Bainbridge MP-75 cloth, Choice of 2 colors, Fold bag.